Q: I’m considering creating AMP pages for my website. What is the benefit? What types of sites and pages is AMP for? Users love content that loads fast and without any fuss - using the AMP format may make it more compelling for people to consume and engage with your content on mobile devices. Research has shown that 40% of users abandon a site that takes more than three seconds to load. The Washington Post observed an 88% decrease in article loading time and a 23% increase in returning users from mobile search from adopting AMP. The AMP format is great for all types of static web content such as news, recipes, movie listings, product pages, reviews, videos, blogs and more. 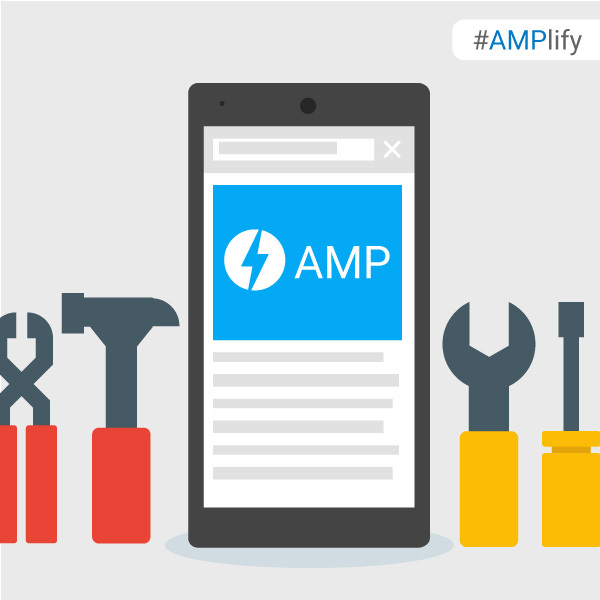 Q: We are getting errors logged in Search Console for AMP pages; however, we already fixed these issues. Why are we still seeing errors? The short answer is that changes to your AMP pages take about a week to be updated in Search Console. For a more in-depth answer on why, Google’s Webmaster Trends Analyst John Mueller shared a detailed post on Search Console latency challenges. Q: Our AMP pages are not showing up on Google Search. What should we do? Only valid AMP pages will be eligible to show on Google Search. Check the validity of your AMP pages by using the AMP HTML Web Validator, the Chrome or Opera Extension or through a more automated process such as a cron job to make sure all new content is valid. While it’s good practise overall to include schema.org structured data in your AMP pages (we recommend JSON-LD), it's especially important for news publishers. News content that includes valid markup properties are eligible to be shown within the Top Stories section in Google Search results. 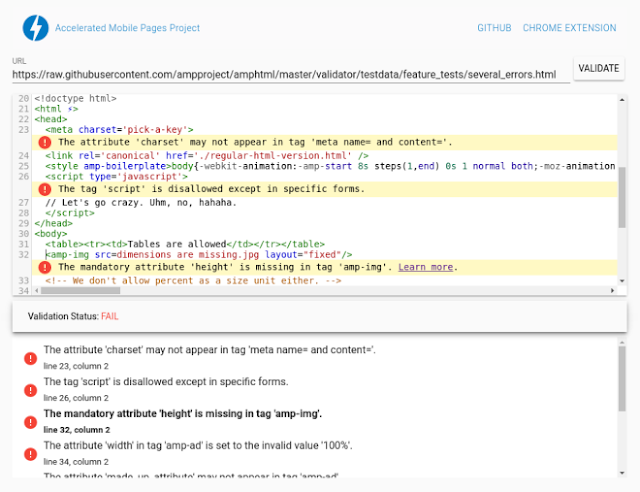 To test your structured data, try using the structured data testing tool. If you have more questions that are not answered here, share your feedback in the comments below or on our Google Webmasters Google+ page. Or as usual, feel free to post in our Webmasters Help Forum. 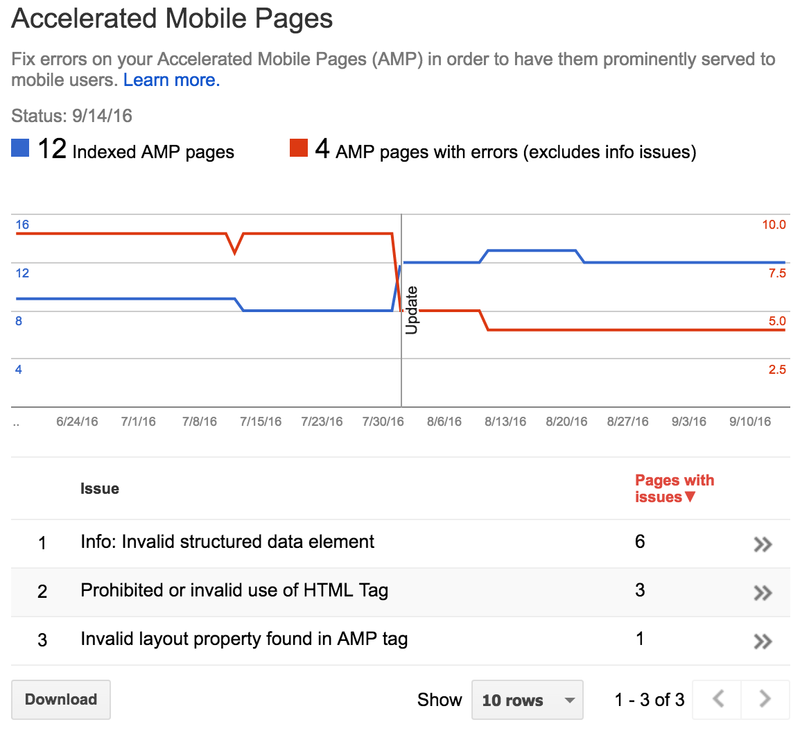 When implementing AMP, sometimes pages will contain errors causing them to not be indexed by Google Search. Pages may also contain warnings that are elements that are not best practice or are going to become errors in the future. Google Search Console is a free service that lets you check which of your AMP pages Google has identified as having errors. Once you know which URLs are running into issues, there are a few handy tools that can make checking the validation error details easier. Append "#development=1" to the URL, for example, http://localhost:8000/released.amp.html#development=1. With the AMP Browser Extensions (available for Chrome and Opera), you can quickly identify and debug invalid AMP pages. As you browse your site, the extension will evaluate each AMP page visited and give an indication of the validity of the page. When there are errors within an AMP page, the extension’s icon shows in a red color and displays the number of errors encountered. When there are no errors within an AMP page, the icon shows in a green color and displays the number of warnings, if any exist. When the page isn’t AMP but the page indicates that an AMP version is available, the icon shows in a blue color with a link icon, and clicking on the extension will redirect the browser to the AMP version. Using the extensions means you can see what errors or warnings the page has by clicking on the extension icon. Every issue will list the source line, source column, and a message indicating what is wrong. When a more detailed description of the issue exists, a “Learn more” link will take you to the relevant page on ampproject.org. 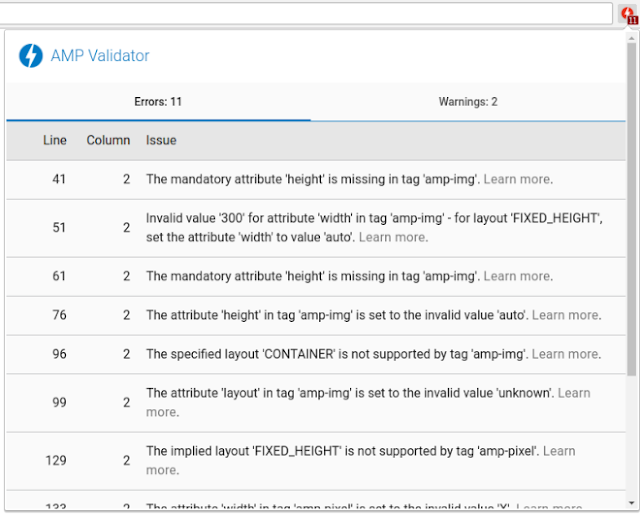 The AMP Web Validator, available at validator.ampproject.org, provides a simple web UI to test the validity of your AMP pages. To use the tool, you enter an AMP URL, or copy/paste your source code, and the web validator displays error messages between the lines. You can make edits directly in the web validator which will trigger revalidation, letting you know if your proposed tweaks will fix the problem. 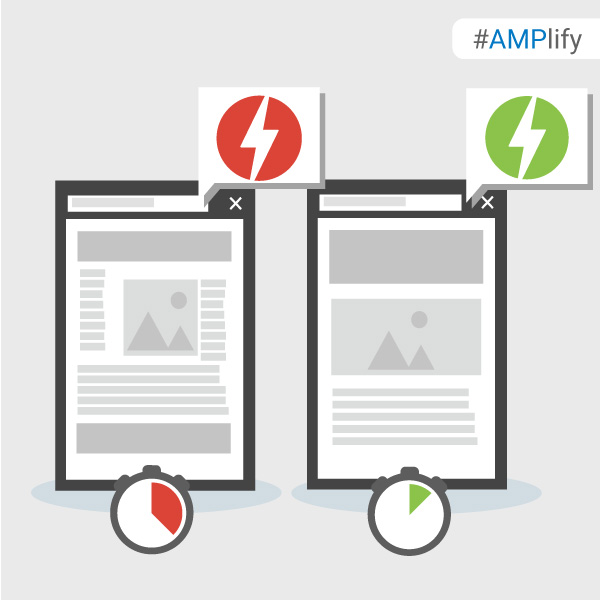 What's your favourite way to check the status of your AMP Pages? Share your feedback in the comments below or on our Google Webmasters Google+ page. Or as usual, if you have any questions or need help, feel free to post in our Webmasters Help Forum. Search Console is a free service that helps you monitor and maintain your site's presence in Google Search, including any Accelerated Mobile Pages. You don't have to sign up for Search Console for your AMP pages to be included in Google Search results, but doing so can help you understand which of your AMP pages are eligible to show in search results. To get started with Search Console, create a free account or sign in here and validate the ownership of your sites. 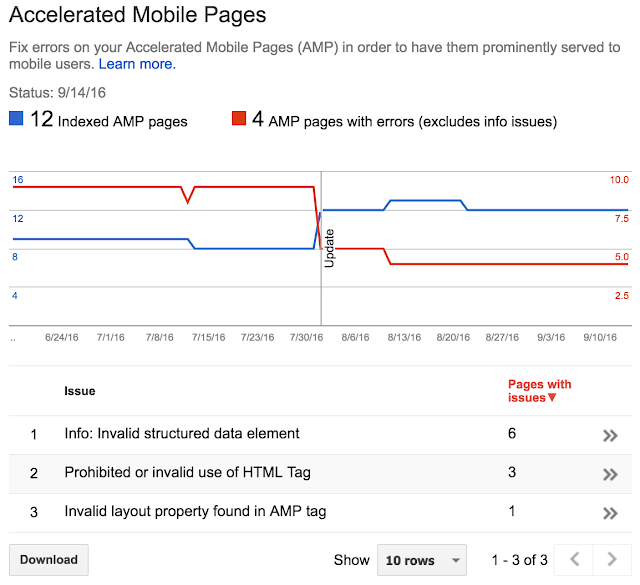 The report lists AMP-related issues for AMP pages that are not indexed, so that you can identify and address them. Search Console also lets you monitor the performance of your AMP pages on Google Search in the Search Analytics report. This report tells you which queries show your AMP pages in Search results, lets you compare how their metrics stack against your other results and see how the visibility of your AMP pages has changed over time. To view your AMP page metrics, such as clicks or impressions, select Search Appearance > Search Analytics > Filter by AMP. 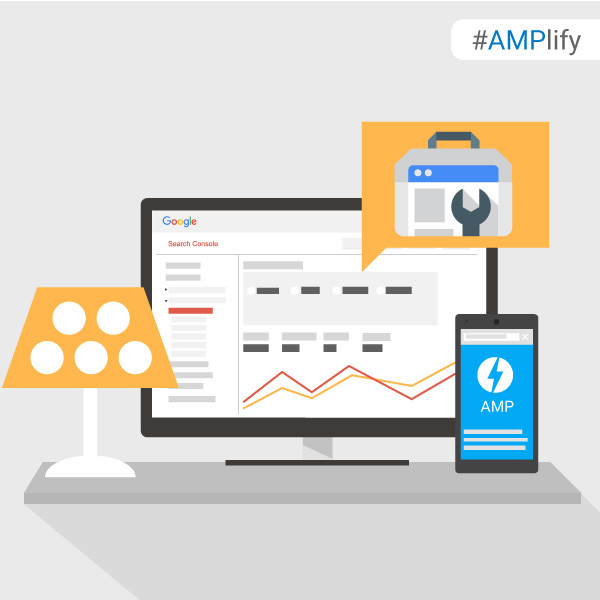 Have you been using Search Console to monitor your AMP pages? Give us feedback in the comments below or on our Google Webmasters Google+ page. Or as usual, if you have any questions or need help, feel free to post in our Webmasters Help Forum. UPDATE: To help ensure that your AMP implementation is working as expected, Search Console now has an enhanced AMP testing tool. Once you are done with the basics, why not geek out with the Advanced Concepts Codelab? Have you tried the Codelabs or added an AMP plugin to your site? Share your feedback in the comments below or on our Google Webmasters Google+ page. Or as usual, if you have any questions or need help, feel free to post in our Webmasters Help Forum. Users today expect mobile websites to load super fast. The reality is that it can often take several seconds. It is no surprise that 40% of people abandon a website that takes more than 3 seconds to load. To reduce the time content takes to get to a user’s mobile device we started working on the Accelerated Mobile Pages Project, an open source initiative to improve the mobile web experience for everyone. Accelerated Mobile Pages are HTML pages that take advantage of various technical approaches to prioritize speed and a faster experience for users by loading content almost instantaneously. Later this year, all types of sites that create AMP pages will have expanded exposure across the entire Google Mobile Search results page, like e-commerce, entertainment, travel, recipe sites and many more. Visit the “Who” page on AMPProject.org for a flavour of some of the sites already creating AMP content and try the demo at (g.co/ampdemo) to see AMP versions of pages labeled with . 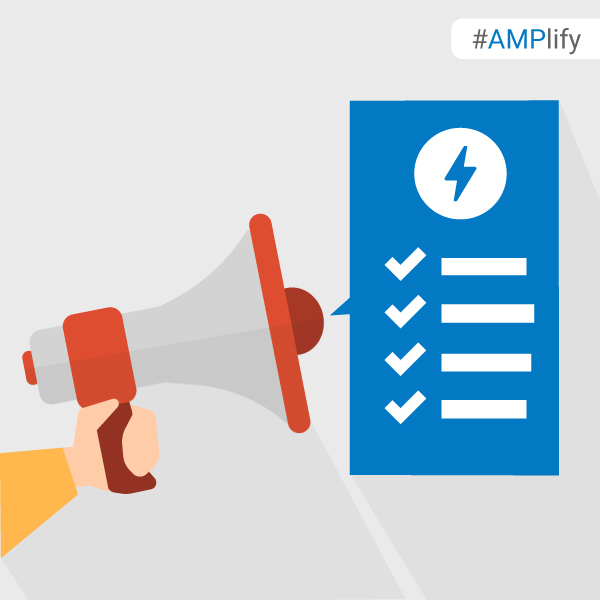 In advance of AMP expanding in Google Search, over the next few weeks we’ll be posting pointers to help you #AMPlify your site. 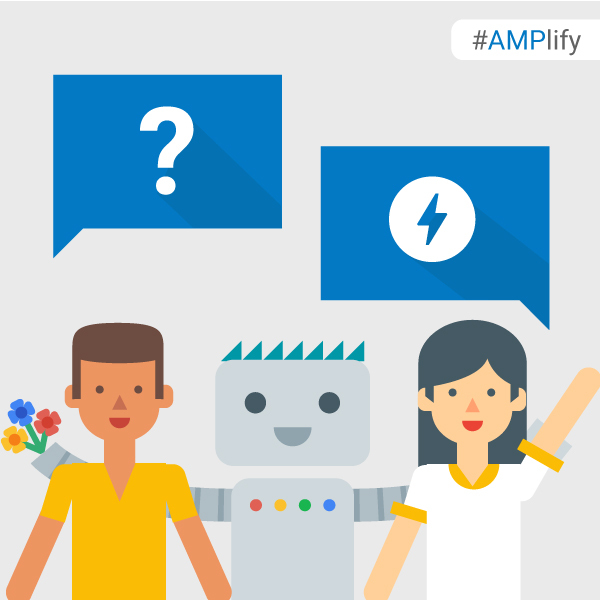 Follow along with the #AMPlify hashtag on G+ and Twitter. 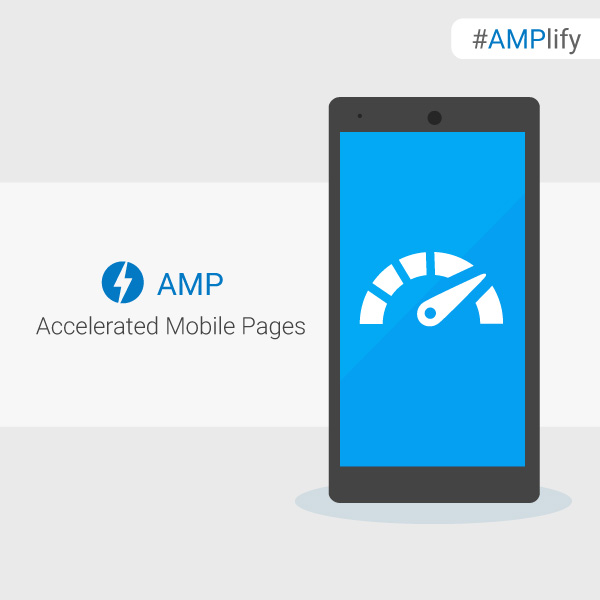 Have you already built AMP pages for your site? Share your feedback in the comments below or on our Google Webmasters Google+ page. Or as usual, if you have any questions or need help, feel free to post in our Webmasters Help Forum. 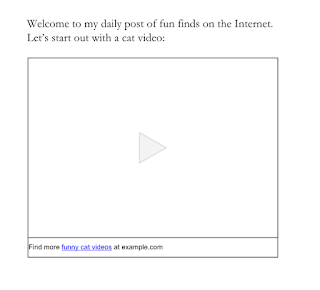 against links that manipulate a site’s PageRank. Today we would like to reiterate our policy on the creation of keyword-rich, hidden or low-quality links embedded in widgets that are distributed across various sites. Widgets can help website owners enrich the experience of their site and engage users. However, some widgets add links to a site that a webmaster did not editorially place and contain anchor text that the webmaster does not control. 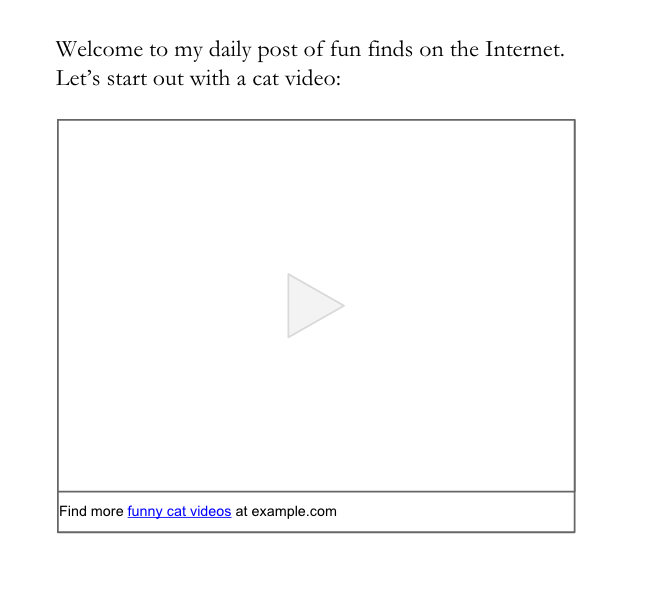 Because these links are not naturally placed, they're considered a violation of Google Webmaster Guidelines. 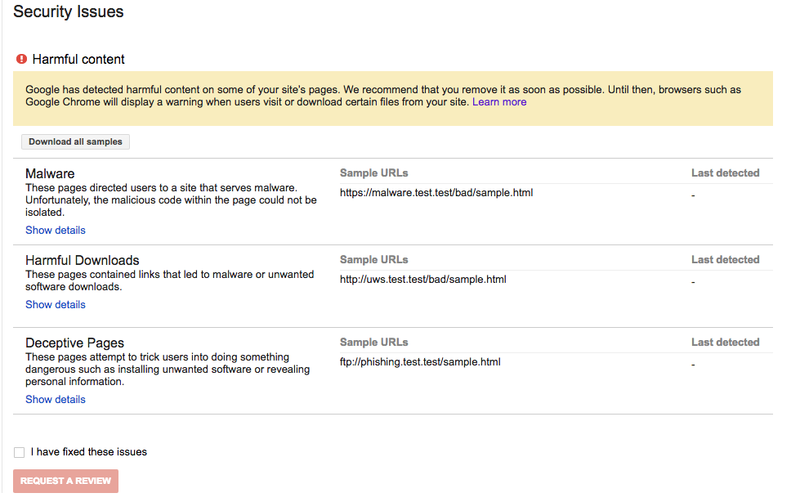 Google's webspam team may take manual actions on unnatural links. When a manual action is taken, Google will notify the site owners through Search Console. If you receive such a warning for unnatural links to your site and you use links in widgets to promote your site, we recommend resolving these issues and requesting reconsideration. You can resolve issues with unnatural links by making sure they don't pass PageRank. To do this, add a rel="nofollow" attribute on the widget links or remove the links entirely. After fixing or removing widget links and any other unnatural links to your site, let Google know about your change by submitting a reconsideration request in Search Console. Once the request has been reviewed, you'll get a notification about whether the reconsideration request was successful or not. 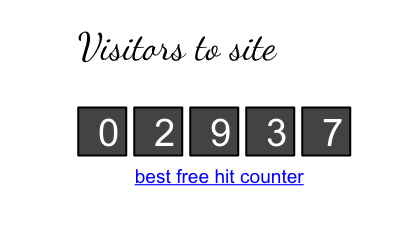 Also, we would like to remind webmasters who use widgets on their sites to check those widgets for any unnatural links. Add a rel="nofollow" attribute on those unnatural links or remove the links entirely from the widget. For more information, please watch our video about widget links and refer to our Webmaster Guidelines on Link Schemes. Additionally, feel free to ask questions in our Webmaster Help Forums, where a community of webmasters can help with their experience. Google has long taken a strong stance against links that manipulate a site’s PageRank. Today we would like to reiterate our policy on the creation of keyword-rich, hidden or low-quality links embedded in widgets that are distributed across various sites. best-of lists and critic reviews features. Whether your site publishes editorial critic reviews, best-of places lists, or aggregates user ratings, this content can be featured in local Knowledge Panels when users are looking for places to go. Available globally on mobile and desktop, Reviews from the web brings aggregated user ratings of up to three review sites to Knowledge Panels for local places across many verticals including shops, restaurants, parks and more. By implementing review snippet markup and meeting our criteria, your site’s user-generated composite ratings will be eligible for inclusion. Add the Local Business markup to help Google match reviews to the right review subject and help grow your site’s coverage. For more information on the guidelines for the Reviews from the web, critic review and top places lists features, check out our developer site. In the U.S. on mobile and desktop, qualifying publishers can participate in the critic review feature in local Knowledge Panels. Critic reviews possess an editorial tone of voice and have an opinionated position on the local business, coming from an editor or on-the-ground expert. For more information on how to participate, see the details in our critic reviews page. The local information across Google Search helps millions of people, every day, discover and share great places. If you have any questions, please visit our webmaster forums. Today, we’re introducing Reviews from the web to local Knowledge Panels, to accompany our recently launched best-of lists and critic reviews features. Whether your site publishes editorial critic reviews, best-of places lists, or aggregates user ratings, this content can be featured in local Knowledge Panels when users are looking for places to go.